I love this new Puns stamp set! I stamped it with our Black Pigment ink. After colouring it with our alcohol markers, I popped up the main image and slid some small Slate banners underneath. Added some grey sparkles and I was done. I love the pop that chevron paper gives this! So, what are you waiting for? 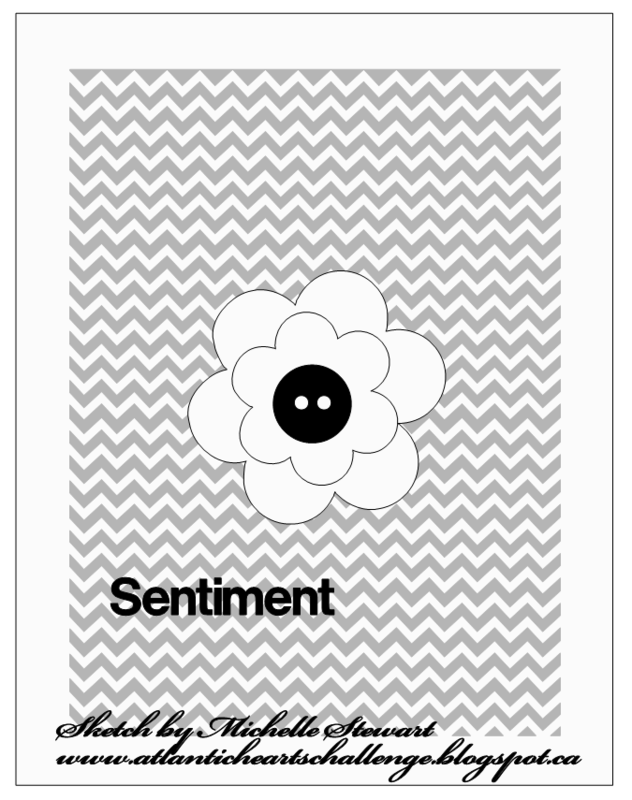 Get creating with this fabulous sketch and maybe you’ll make the top three! Be sure to link up your creation on the correct post. We’d love for you to share the sketch challenge with your crafty friends, too. Krista, this is so cute.I love it !! The Pun stamps are so much fun, and yet I don’t own any of them yet…..lol! 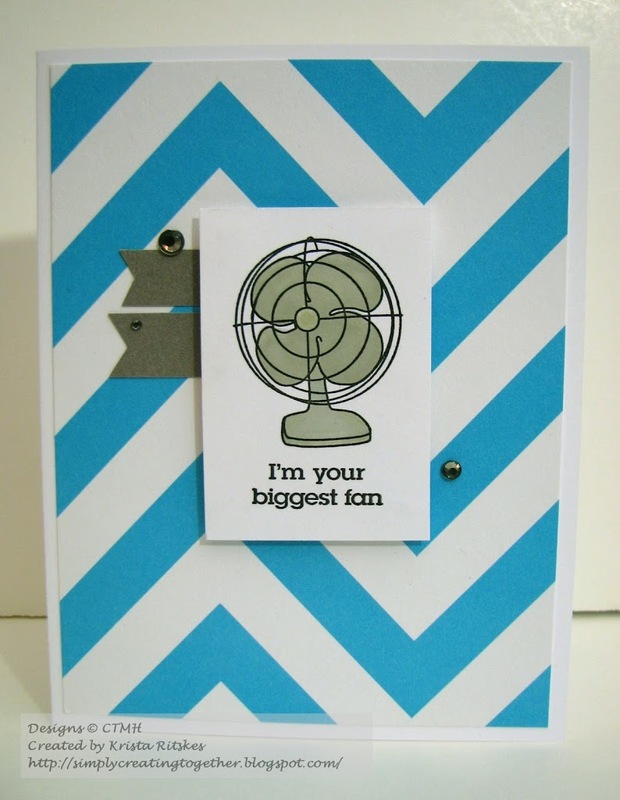 Love the card, the chevron does give it that pop, love it. Great job!